1. 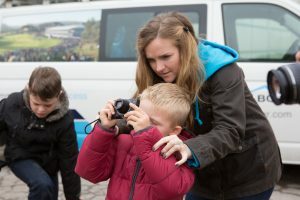 We’re looking for a motivated photographer with a fun attitude to teach Photography Workshops to Kids and Teens based in Dorking/Guildford. Experience helps but not essential. We are looking for a motivated, creative and patient trained photographer with a fun attitude, who enjoys teaching the art of photography. This job will entail teaching children’s and teens photography courses/workshops, after school clubs and helping create online corses. Availability at weekends is essential as the successful applicant will need to have the ability to work assisting and leading teenage/children’s courses. We are happy to entertain lifestyle photographers who are qualified and can run their separate business outside of our work hours. Eligible for a DBS certificate and ready to apply for one. Good level of skill in photo editing with Adobe Lightroom/photoshop. Must have a driving licence and own form of transport. As an early employee the ability to grow with the company, the correct applicant could move rapidly along with the company into a more senior role. Good rates of pay with flexibility. Following training, the successful applicant will be expected to initially work part time Monday to Thursday per week (4 hrs per afternoon) for £10ph. (£13ph overtime outside normal working hours if required). Have the ability and scope to move to 4 full days per week (or full time) within 12 months. 2. We are looking for a motivated individual with a very good grasp of social media promotion, specifically building a You Tube and Instagram following. Experience and confidence with You Tube and Instagram essential. We are looking for a capable, motivated and outgoing individual to help create a robust You Tube subscriber base for our new You Tube Channels. This is to be run in tandem with a marketing campaign promoting Sharp Shots new Online Courses website. Initially this will be part time with a view to increasing commitment in the near future. We would be happy to work with a freelancer, a You Tube vlogger with an interest in photography, a student currently in education or an individual who has time outside of their own business. We are a new, fast growing, company with a passion for teaching photography to children/teens with plans to rapidly expand our online courses nationally and Internationally.